It's an honor for me to welcome John Lescroart, New York Times bestselling author of more than twenty books, including the Dismas Hardy series, and Spotlight Guest at ThrillerFest VI, to Psychotic State Book Reviews. Welcome, John! As a New York Times bestselling author whose books have been translated into 16-languages, it’s no wonder that you are a spotlight guest at ThrillerFest VI! How will you be participating in the event this year? I’m very much looking forward to my interview with Gayle Lynds on Friday, July 8, at 3 o’clock. Gayle has been a great friend for many years, and of course she is an enormous talent in her own right. I’m sure our talk will be fun and informative. Beyond that, I’ll be walking the halls and the bookstore for the entire four days of the Thrillerfest and look forward to spending quality time with anybody who wants to chat. What is your involvement with the ThrillerFest sponsors, International Thriller Writers? JL: I like to think that I’m one of the ground floor members of the ITW. Back when Gayle Lynds and David Morrell were just trying to get the organization off the ground, Gayle called me and asked for a donation and I told her I’d be glad to help. I thought we thriller writers needed an organization of our own, and I wanted to be part of it. But Gayle, in her charming way – I’ve already told you we’ve been friends a long time – said she thought the organization needed somebody to be among the first to step up in a bigger way financially. She bribed me shamelessly saying that my name would forever be on the masthead of the ITW as a Founding Sponsor. And everybody knows how much we writers like to hear forever linked to our names, a la Shakepeare I suppose. In any event, I ponied up, and I am so glad I did, since I think that the ITW is the greatest writers’ organization on the planet. What can attendees expect at ThrillerFest VI? JL: The Thrillerfest is great for any number of reasons, including but not limited to: full accessibility to authors and agents (even famous ones), a fantastic camaraderie, insiders information, panels on myriad aspects of the craft, art, and business of thriller writing, an incredibly entertaining evening of good food, generous drinks, and thriller awards. Ken Follett! Karin Slaughter!! David Morrell!! Steve Berry!! Lee Child!! And on and on. It is simply the best writers’ convention there is, and it gets better every year. Had you always assumed you’d become a writer? JL: I wrote my first novel in college, so I guess it must have been on my mind from an early age, but I didn’t publish until I was thirty-four, and didn’t start making a living exclusively from writing until I was forty-five. Still, I think some big part of me wasn’t ever going to be satisfied with life if I didn’t succeed in writing. And I guess I was just stubborn enough to keep at it when any reasonable person would have given up. Now I’m very glad that I didn’t, but there were days . . . no, there were months . . . I guess the assumption that I’d some day become a writer is what pulled me through. How did you get “hooked” on writing? JL: This might sound overblown, but the human condition inspires me. I’d love to understand all of it, and know of course that I never will. But the search for its essence, if there is such a thing, or even its faint shadow, is an overriding and endless passion that I don’t think I will ever outgrow. JL: I write in a house/office in the downtown “core area” of Davis, California, a small university town near Sacramento. It’s a great place to live and work, and I’ve been happy here since 1992. Some authors are very habitual in the way that they write – do you have any idiosyncrasies you’d like to share? JL: I’m one of those “very habitual” writers. I get up about the same time every morning – now closer to 8:00 than the 6:30 I averaged when my children still lived at home. I’m working out by 9:00. I get to the office at around 11:00, and generally check emails and do various other computer stuff until around 1:00 (I refer to this time as “sorting my socks”). Finally I start writing and keep at it until 5:00. No music. No nights or weekends. With this schedule, I’ve managed to put out a book a year for the past twenty years or so. Before becoming a writer, you were a musician. How did your experiences in the music industry affect your writing? JL: I very much loved playing music, which I did until I was thirty. Exactly thirty. I disbanded my band on my 30th birthday, and started writing Sunburn, which won a literary prize and became my first published book. So the two “careers” didn’t really impact one another directly. On the other hand, most of the songs I performed with my band were originals, and in the course of writing those 500 or so songs, I think I got comfortable with the idea of my “creativity,” of writing things I cared about, so that when I made the switch to prose writing, I didn’t feel like I was moving to a different language, so to speak, so much as simply changing my vocabulary. As someone who got started as a writer with no connections in the publishing industry, do you have any advice for young writers in a similar position? JL: Oh my gosh, did I ever do everything wrong! I believe that young writers today are in general much more knowledgeable about the publishing industry than I ever was. Most people know, for example, that one needs an agent. Many young writers also have a game plan in mind for their careers – they’ll be writing two or three books a year, for example, maybe a mystery and a romance, or a fantasy and a stand-alone. They’ll know they can use a pseudonym or two or three and at the same time, write under their own names. I knew none of this, and back when I was starting out just after the Civil War, I don’t believe much of this information was readily available. Much of it was trial and error, mostly the latter. Today, events just like Thrillerfest combat all of that ignorance and angst. Writers and agents are willing to talk to new writers, to give advice and direction, and to share ideas. So my real advice to beginnings is to ask questions and listen to the answers. The writing life is just that: a life. It is not one published book, at least not usually, but a body of work, of relationships with publishers, editors, agents, reviewers, and other writers. And the great news for the newcomers is that the world of the writer is now pretty generally accessible to one and all. You write not only books, but screenplays as well. How does your writing process differ when switching between writing books and screenplays? JL: Well, I haven’t been too successful as a screenwriter. I’ve written several, but none have been bought or produced, so whatever I’m doing isn’t working. I think my main problem is that I don’t think as a screenwriter. I see a story in novelistic terms and trying to leaven it down in screenplays to simply dialogue scenes, or visual images, isn’t really the way I approach a story. I’m still trying, though. Maybe I’m getting closer. After your battle with Spinal Meningitis, how has your writing changed? JL: As you note, I had a life threatening bout of spinal meningitis when I was forty-one. Up until that time, I had published five novels, most of them nicely reviewed but commercially unsuccessful. I believe that this was probably because I kept largely viewing these efforts as teaching vehicles – I was learning how to fashion a plot, or create a scene, or make a character come alive on the page. After the meningitis, and the eleven-day coma, I realized that if I didn’t know how to write a novel by now, I might as well quit trying. I could easily have died having never given my work a chance to sing confidently on its own. It was time to just let what I was writing become the novel it wanted to me; not to teach myself some lesson in how to write, but to truly express what themes and issues the story itself wanted to tell. The result of these insights and decisions was a different kind of book, a bigger book with a wider palette and finally, a true novel. In fact, a whole bunch of them. While in college and writing your first novel, did you ever think you would become this great of a success? JL: Of course everybody fantasizes about how they’ll take the world by storm, and in college I fit that mold to a “t.” For that reason, I think it’s ironic that even with all my success, it did not take the form that I had assumed was the norm. My initial vision of success was that I would write a (i.e. one) book and it would become a monster hit a la Cold Mountain or The Firm or The Girl With the Dragon Tattoo and after that I would be an Author (with a capital A), known far and wide for whatever book it was. Actually, this was not what happened at all. As I mentioned above, I had written six books before I had my first NY Times bestseller, and while that book, The 13th Juror, did very well and allowed me to become a full-time writer, it was never the kind of blockbuster that turned me into a household name, nor have any of the subsequent books, although all of them since then but one have made the NY Times list. When I was young, I never realized that for the vast majority of authors, the writing life entailed a career of not one but many books – and now I rejoice that I have been so fortunate as to be able to keep writing them. It’s a wonderful life. What was the inspiration behind your famous character, Dismas Hardy? JL: Well, we’ve all be taught to write what we know. When I was thirty-eight and casting about for a protagonist, the person I knew best was myself: thirty-eight years old, a bartender at the (very real) Little Shamrock bar, divorced, living on 34th Ave. in San Francisco. So I plugged this guy Dismas Hardy into that set of facts. And then in the actual writing an interesting thing happened: I gave him a background quite different from my own, making him an ex-cop, ex-Marine, ex-lawyer, and – tragically – an ex-father. From the intersection of those two backgrounds, Dismas Hardy emerged full-blown. JL: I remain a huge fan of the thriller, and many types of them. Among my favorite authors I always count Nelson DeMille, PD James, T. Jefferson Parker, Tim Hallinan, Bob Dugoni, Lisa Gardner, Jeff Deaver, Lee Child, Loren Estleman, and Gayle Lynds. My newer favorites include Justin Peacock, Paul Doiron, John Verdon, and David Hosp. How did you get started writing your very first novel? JL: I was a junior in college and simply decided that if I was taking creative writing classes at Berkeley and wanted in some vague yet real way to become an author, I’d have to tackle the book length work at some point. So I just made a decision to sit down every day and write at least a page and keep going until I had a novel. At that time, the shortest novel I had read was The Old Man and The Sea, and my version of it was 104 pages long. So I kept writing until I had 104 pages, and that was the end. The funny thing was, it actually ended right then. The novel was a total forgettable dud, but one good thing came out of it: I named one of the characters Dismas Hardy – killed him off after one page, but he was there and the name stuck. Having never gone to law school, how do you write so accurately about the legal process? JL: I am very fortunate that my best friend since high school, Al Giannini, decided to become a lawyer. And not just a lawyer, but a criminal lawyer. And not just any old criminal lawyer, either, but an assistant district attorney specializing in homicide prosecutions in San Francisco and San Mateo. Al vets all of my books for legal and procedural issues before I even hand them in to my editors. Without him, I wouldn’t be able to write the book I do. He is a true collaborator, an excellent critic, a fantastic legal mind, and a great guy whom I sometimes would like to murder. He lets me get away with absolutely nothing – if it’s not right, it doesn’t stay in the book. What can fans expect in your upcoming novels? JL: I’ve just finished my 2012 book, Undertow, which is a story about Wyatt Hunt’s search for his birth parents. It’s a deeply personal and emotional book and digs back into the past and churns up a stew of reactions from Wyatt. 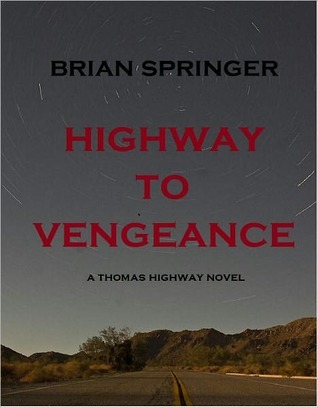 After that, I’m trying to come up with an idea for another “classic” Dismas Hardy courtroom drama, which hopefully will appear in 2013. Beyond that, it’s anybody’s guess, but I’d expect a book a year as long as I’m above the ground. You have written over 20 novels--of these, which was your favorite to write? JL: My all-time favorite to write was A Certain Justice. The Rodney King riots had just recently happened in my own former home city of Altadena, and the opportunity to move many of those tumultuous events to San Francisco was just too interesting to pass up. Plus, the racial tensions that drive the novel found a terrific and personal vein of reference in the character of Abe Glitsky, who suddenly became fully-dimensional and, to me, fascinating as a character. I also discovered Wes Farrell in this book. In fact, San Francisco opened itself up to me in a way I could never have predicted, and the results were just wonderfully satisfying. I have other books that I like as much – The Hearing and The Motive, for example – but for sheer joy of writing, A Certain Justice gets the nod. How do you balance turning out a steady stream of novels with having a life outside of writing? JL: I guess the secret to that is that I view writing as my job. A wise man once said that if you love what you do, you never do a day of work in your life. And that’s how I’ve tried to make my life work. I love coming into the office and putting down pages, working out problems of prose and plot, communicating with my readers by blog and twitter, facebook and email. But it’s a job. Fortunately, it’s a job that is also – to some greater or lesser degree – an art and a source of great personal fulfillment. When 5:00 o’clock rolls around, I close up the office, go home and have dinner with my wife, and in all other ways, live a completely “normal” life. If those darn paparazzi would just leave me alone . . . Thank you so much, John, for stopping by, congratulations on being a Spotlight Guest at ThrillerFest and best of luck with your upcoming Undertow! For more information on John Lescroart, please visit his website. For more information on ThrillerFest, please visit the official website. BOOK DESCRIPTION: Despite all her years determining the fates of families, veteran family court judge Hope Willis couldn't save her own. She never saw the car containing her kidnapped daughter, struggling to get out. Now she's frantically grasping at anything that might result in Krissy's rescue. Her husband dead-set against it, she calls Casey Woods, the head of Forensic Instincts, a renegade team of investigators, with a reputation for doing whatever it takes to solve life-or-death crimes. Picking up a book by an unfamiliar author and finding an incredible story within its pages is often reward enough but being able to add that author to your "must read" list is an added bonus. Both feats were accomplished with Andrea Kane's The Girl Who Disappeared Twice. I love mysteries and thrillers. When I find a mystery/thriller that keeps me involved, that has a good story and doesn't insult my intelligence, I'm happy. It's been a happy few days around my house with The Girl Who Disappeared Twice. 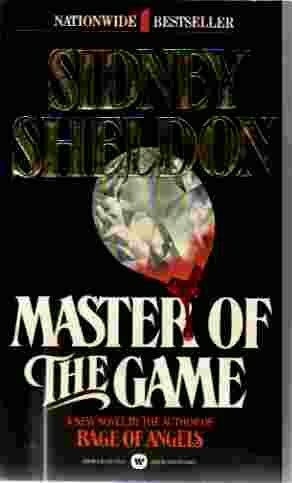 All mystery/thriller requisites are covered in this slick, tight read. A missing child, a handful of viable suspects and a clock that is ticking. 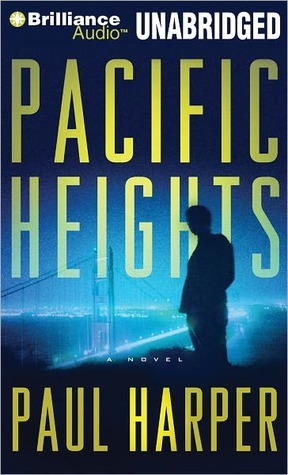 Main protagonist Casey Woods is smart, quick on her feet and driven - - the perfect heroine for such a novel I liked her immediately and I felt I knew her, giving me a quick connection to her. Likewise her team of private investigators - - I thoroughly enjoyed reading about their technologies and methods of tracking down their prey. And I love any book that has a dog or cat as a major part of the story! The investigation was fascinating to read, in part because the questions were not answered too soon and Ms. Kane defly wove the mystery of the two child abductions together, seamlessly and cleverly. She keeps the reader on edge, waiting for more, desperately needing the answers to this tale, and feeling intensely for these characters. Where The Girl Who Disappeared Twice really succeeds is the writing, which is flawless. The story reads as smooth as the finest silk and at no point did I question why a character would be acting in such a fashion or speaking in such a way. No plot points from the story seem forced or driven just to move the story forward; everything is fluid. By the same token, Ms. Kane gives the reader solid character development. You can relate to Casey in the same way that you can ache for grieving mother Hope and frightened child Krissy. The only weak link in this writer's opinion with the character development is FBI agent Hutch, which I hope will be further clarified in a subsequent book featuring this wonderful team and cast of characters. The Girl Who Disappeared Twice is a fantastic read for mystery and thriller fans. There is very mild profanity in a few areas and a couple of sexual situations but nothing graphic on either front and nothing that would be offensive to the majority of readers. For fans of Ms. Kane's who are looking for pure romance, The Girl Who Disappeared Twice will be a letdown as romance is not the first objective of this book. However, the storyline is so strong - - even after figuring out the identity of the kidnapper halfway through - - your desire for romance will quickly be forgotten. I would not hesitate to recommend The Girl Who Disappeared Twice to any reader looking for a good read with memorable characters and something you don't want to put down. It's an involving read but not so heavy that you can't whip it out at the pool. So impressed was I with this book that Andrea Kane has been added to my "must read" list and I hope that she decides to make a series out of Casey Woods and her intrepid Forensic Instincts team. The Girl Who Disappeared Twice is available for purchase now at major booksellers, including Amazon. I am an Amazon affiliate. If you make a purchase through my link, I will receive a small commission. For information on author Andrea Kane, please visit her website. 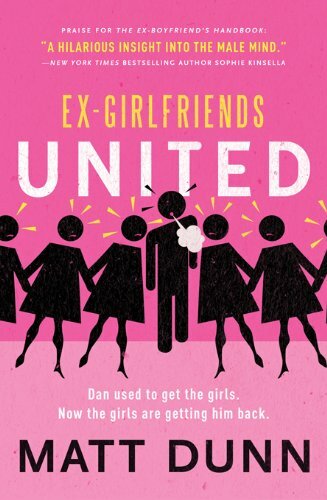 Please join me in welcoming Matt Dunn, author of the deliciously funny and newly published Ex-Girlfriends United, to Psychotic State Book Reviews. Hi Matt! Welcome to Psychotic State Book Reviews. Thank you for taking the time to chat with me and my readers. You have a new book out - - Ex-Girlfriends United - - which I am reading now at the time of this interview and absolutely loving. What can you tell us about it? MD: Thank you! Well, it's the sequel to The Ex-Boyfriend's Handbook, and follows Ed and Dan as they try to navigate the minefield that is the world of dating. Here, Dan has got himself into trouble - his ex-girlfriends have been leaving, shall we say, less than complimentary reviews about him on a new website called Slate Your Date. Worried he'll never find another girlfriend if he doesn't get them to retract them, Dan sets about trying to right all his previous wrongs. Meanwhile, Ed is finding that the course of true love doesn't always run smoothly, especially when your psychotic ex-girlfriend reappears. Did you have an easier time writing for the love ‘em and leave ‘em Dan or the more sedate and sensible Edward? MD: Edward's probably easier to write, simply because there's more of me in him. Dan's a lot more fun to write, though! Readers were first introduced to Dan and Edward, and other supporting characters, in The Ex-Boyfriend’s Handbook. How did you come up with the idea for the books? MD: I initially wanted to write about how it feels to be dumped, and Ex-Boyfriends sort of grew from there. I don't generally tend to plan out my books, and once Ed and Dan became fully-formed, it was fun to see where they'd lead me. 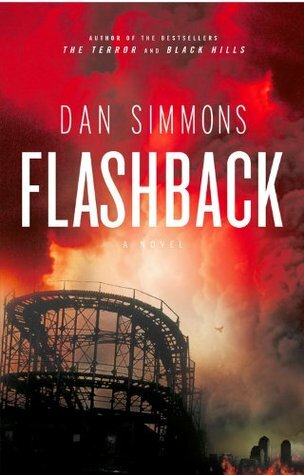 I hadn't planned to write a sequel, but then I got a lot of emails from readers asking me what happened to the characters – especially Dan. I'd loved writing about them, too, so it seemed a natural thing to do a follow on, and that's where Ex-Girlfriends United came from. The third in the series, The Accidental Proposal, has just come out in the UK, though that'll (probably) be it - I think it's time to leave them to get on with their lives without any more interference from me. You write from the male perspective but your books seem geared more so toward women. Would you agree with that assessment? MD: I know I have a lot more female readers than male ones, but I'm not sure I gear my books towards one or the other. I just try and write the kind of books I'd like to read, and I'm pleased that both men and women get some enjoyment from them. 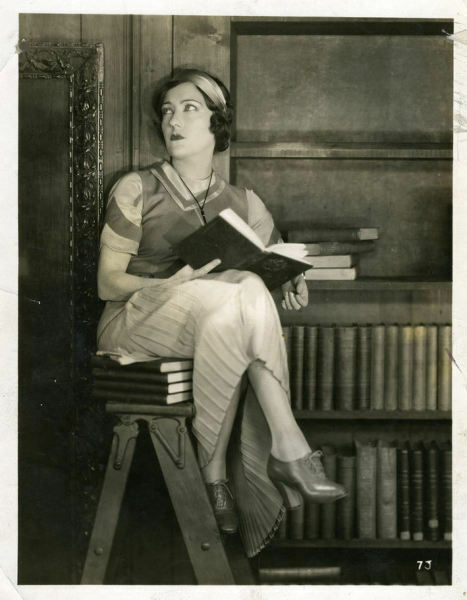 Will women read your books and get a better understanding of how men think? MD: So I've been told. Though I'd caution readers not to take Dan's opinions too seriously – he's not representative of most of us guys out there. I hope! You have the very interesting and unusual niche of being a male writing chick lit. How does it feel holding the testosterone flag on an estrogen field? MD: I love it. And if it means I can bring a different perspective to the genre, then that's great. What part of being a writer do you enjoy the most? What is the least enjoyable part? MD Ask me those questions on different days, and I could answer 'the writing' to them both! The worst? I guess sometimes editing can be a bit of a chore – by that time, you've read and re-read your own work so many times that you start to lose the will to live, but it's a minor gripe – I know that I'm extremely lucky to get to make up stories for a living, and I love the creative process. The best part has to be hearing from people who have read and enjoyed my books, or meeting them at readings/signings/events. It makes an author's day when someone takes the time to tell you they've enjoyed what you've written. MD: I'm working on a few: Another romantic comedy, plus something a little more serious, and a stage play. After six novels, it's fun to have a go at something a little different. When you’re not writing, what authors do you prefer curling up with? MD: I like loads. David Mitchell is perhaps my current favourite – Cloud Atlas is one of my favourite books, and I've got his latest on my TBR pile. 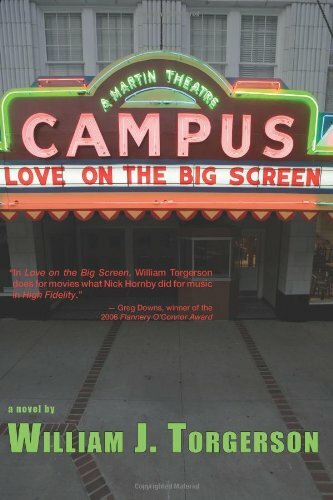 Nick Hornby is another author I love – his High Fidelity was the novel that made me want to write in the first place. And David Nicholls' One Day is one of the most stunning novels I've read recently. If you could bring to life one fictional character from a book or movie, who would you choose and why? MD: James Bond. I think he'd be an interesting friend to have. Lastly, what one word would you use to describe Ex-Girlfriends United? Thank you so much, Matt, for taking the time to answer my questions. Best of luck to you with the delicious Ex-Girlfriends United! MD: Thank you. It's been fun! For more information on author Matt Dunn and Ex-Girlfriends United, please visit his website. To purchase Ex-Girlfriends United, please visit my Amazon store here. What do you think, gentle readers? 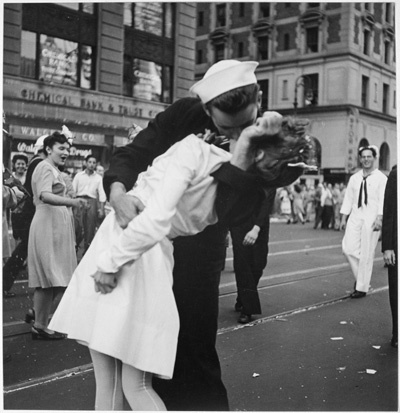 Can a man successfully write chick lit? Stay tuned this week for my upcoming review of Ex-Girlfriends United! Happy Sunday! 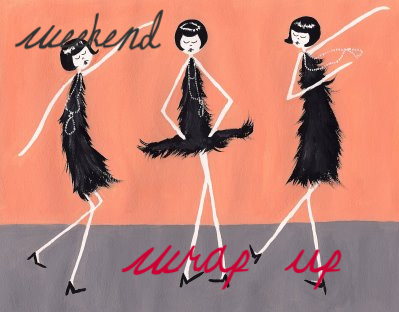 I hope this past week went well for everyone. I am recuperating from a respiratory infection and laryngitis, plus my husband comes home this week, so my posts may be a bit spotty for the next seven days. But I encourage everyone to stop by on Tuesday, June 14, when I welcome author Matt Dunn to Psychotic State Book Reviews. 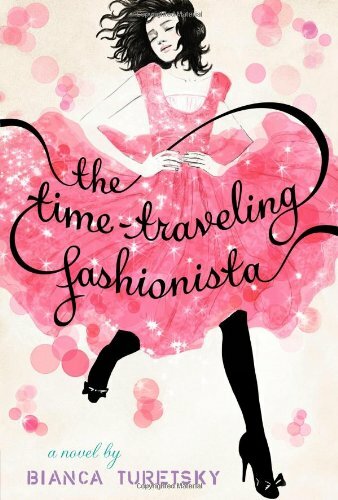 On Wednesday, I posted my review of Bianca Turetsky's The Time Traveling Fashionista. On Thursday, author Belinda Roberts stopped by to answer a few questions about her wickedly funny Mr. Darcy Goes Overboard. 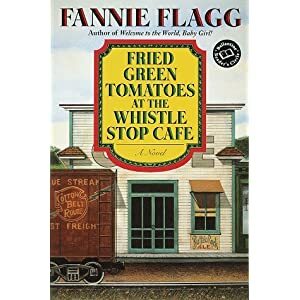 BOOK DESCRIPTION: Folksy and fresh, endearing and affecting, Fried Green Tomatoes at the Whistle Stop Cafe is the now-classic novel of two women in the 1980s: of gray-headed Mrs. Threadgoode telling her life story to Evelyn, who is in the sad slump of middle age. 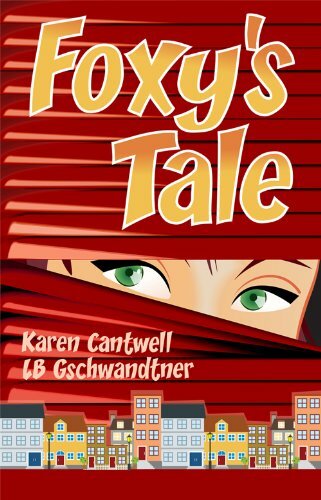 The tale she tells is also of two women--of the irrepressibly daredevilish tomboy Idgie and her friend Ruth--who back in the thirties ran a little place in Whistle Stop, Alabama, a Southern kind of Cafe Wobegon offering good barbecue and good coffee and all kinds of love and laughter, even an occasional murder. And as the past unfolds, the present--for Evelyn and for us--will never be quite the same again. . . . This one is a bit of an oldie but quite the goodie. If you like Southern fiction and strong female friendships, Fannie Flagg is your lady. Ms. Flagg has the ability to not only weave wonderfully involving stories but to do so with bright, unforgettable characters. Tomatoes reads like a soapy southern fiction, complete with illicit love, abusive relationships, deep friendships, murder and a resulting trial. Are you intrigued? You should be - - this book is as delicious as fried chicken, potato salad and pecan pie. The book alternates between present day (circa 1987, the time the book was published) when Evelyn Couch listens to fascinating stories of the small town of Whistle Stop, Alabama from elderly Mrs. Threadgoode, and flashbacks to the times Mrs. Threadgoode reminisces about. Normally when I read books that have present day versus flashbacks I have a preference to one time period or the other. With Tomatoes, I loved both settings and characters so much I could never choose between the two. The book provides wonderful insight into not only small town Southern America but also the special dynamics in female friendships. We see it with Idgie and Ruth in the flashback scenes but also see it very strongly with Mrs. Threadgoode and Evelyn, who develop an almost mother-daughter bond over their weekly visits. There are a handful of male characters present, and vital, to the tale but they truly are secondary to the wonderful women in this story. Tomatoes is a great beach read not just because of its Peyton Place meets small town Alabama nature but also because it will have you laughing out loud. Pages of the book will tickle your funny bone as people and conversations jump off the page and come alive for you. Certain characters are simply a hoot and surely while reading this book you will recognize someone you know, or at least a portion of them, in a certain character or characters. Tomatoes is a quick and breezy read, not taxing and perfect to whip out while you're getting comfortable on your towel or lawn chair. 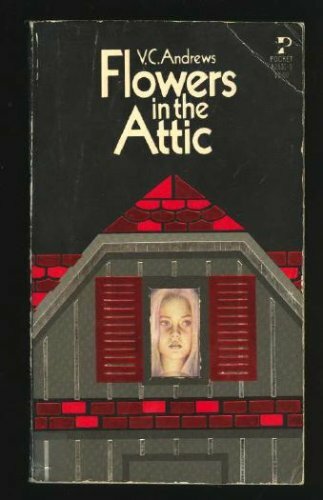 This book was the first I read by Fannie Flagg and it led me to her others. It will likely do the same for you. As an added bonus, pair the book with the splendid 1991 film (shortened to Fried Green Tomatoes) and have a wonderful day or weekend with Fannie Flagg and her southern ladies. As an aside, the film follows the book relatively closely but there are a few things the book offers the movie does not. If you'd like to add Fried Green Tomatoes at the Whistle Stop Cafe to your library, please shop at my Amazon store here. Please join me in welcoming Belinda Roberts, author of the newly released Mr. Darcy Goes Overboard, a fun and modern take on Pride and Prejudice, to Psychotic State Book Reviews. Hi Belinda! 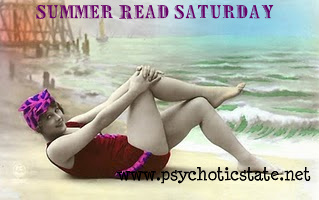 Welcome to Psychotic State Book Reviews. Thank you for taking the time to chat with me and my readers. You have a new book out - - Mr. Darcy Goes Overboard - - which I recently finished, by the way, and found an absolute hoot. What can you tell us about it? BR: It's a fun, light-hearted beach read. Pride and Prejudice with sun, sea and sand; assemblies and ballgowns replaced by boats and bikinis. Picture (if you dare!) Mr. Collins in swimming trunks, Lady Catherine de Brrr arriving by helicopter, the luxury yacht Pemberley, Kitty and Lydia streaking, Lizzy swimming across the estuary in a wet suit, Darcy, his taut, muscular body, also in a black, rubbery wetsuit, Netherpollock, Rosings on the Rocks, great excitement at the arrival of the lifeguards, Maria choking on lobster, Charlotte Lucas revealing her engagement plans to Lizzy on an upturned dinghy, Bingley making friendship bracelets with Jane . . . all within the plot of the original Pride and Prejudice. Jane Austen has a very devoted following of fans. Were you worried that by modernizing one of her classics you might offend the more serious Janeites? BR: No. There are of course two types of "serious Janeites". The first group of "serious Janeites" are those who love Jane Austen and therefore must have a good sense of humour - - Jane Austen certainly did. These "serious Janeites" would not be at all offended at Mr. Darcy Goes Overboard but would enjoy the book as the fun read it is intended. Now, the other "serious Janeites" are just that: deadly serious! Lacking a sense of humour, they probably don't really understand Jane Austen herself and might well be offended - - always taking themselves too seriously and unable to enjoy a little fun! I'm sure Jane Austen would enjoy poking a little fun at them! Tackling existing characters - - much less beloved ones - - must be very difficult! What obstacles did you encounter creating your own versions of Mr. Darcy and Elizabeth? BR: It was actually quite straightforward. Mr. Darcy Goes Overboard is not a Pride and Prejudice follow on - - rather follows the original in plot chapter by chapter. I simply had to ask myself "What would Darcy or Elizabeth be doing now, in this modern setting?" I was keen to keep the essence of their characters. So, for instance, when Elizabeth decies to walk across to Netherfield in the original, I decided she could swim across the estuary to Netherpollock - -an equally headstrong and energetic action. The fact that she emerges from the sea, masked and in her rubber wet suit seems incredible to the Bingley girls "and they hold her in contempt for it". Darcy, however, when questioned by Cazza Bingley about his "admiration of her (Elizabeth's) fine eyes" replies that "even through her mask I could see that they were brightened by the exercise". Hopefully readers will not see them as my versions of Darcy and Elizabeth - - rather Darcy and Elizabeth transposed to a modern, possibly slightly wacky, setting. What character was the most difficult to grasp or write? "It's so unfair. Lydia's clubbing and I'm crabbing . . . I mean, what's the difference wearing your bikini on the beach in the day or wearing your bikini in the evening and sliding down a pole?" "This is a most unfortunate affair and will be much talked of. But we must stem the tide of malice and pour into the wounded bosoms of each other the balm of sisterly consolation." Lydia, impetuous and bursting with life, goes on to be "saved". I felt quite strongly about this. I have always found Lydia's story a bit depressing and I really did not want her to end up frustrated and unhappy. I wanted to draw on her positive side and maintain the feelgood factor effect! What part of writing Mr. Darcy Goes Overboard did you enjoy the most? BR: I absolutely loved playing with the language and situation. 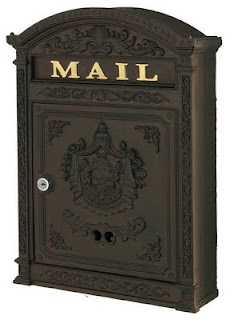 For me, the mix of regency and modern is just hilarious and I found myself laughing out loud frequently when writing. In our family it is not uncommon for one of my daughters to say to another something along the lines "Come, let us take a turn around the room. I assure you it is very refreshing after sitting so long in one attitude." Meaning "Take those plugs out of your ears and let's go out for a walk." "I always wear a bulletproof vest . . . in my position you can never be too careful. Do you wear a bulletproof vest, Miss Elizabeth Bennet?" "I find it hard to accomodate under a bikini. Do you wear a bikini, Lady Catherine?" The audacity of this remark made other members of the party draw sharp intakes of breath. "You are a bold and foolish girl, Miss Elizabeth Bennet, but I will excuse you this once, as you clearly are new to such company as occurs at Rosings on the Rocks." What is such fun is that even though in Salcombe today there are fast cars, yachts, iPods, texts . . . we are the same now as always: ambitious mothers, young lovers, fathers wishing to escape. It's all there. My only real worry is that with teenage children myself, I am not cast as Mrs. Bennet! 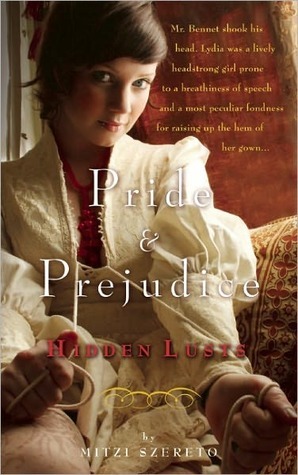 What led you to write a 21st century version of Pride and Prejudice? BR: As a family we have spent many happy holidays in the English seaside town of Salcombe and the thought that it would be just the place where a modern day Bennet family would go on holiday grew and grew. Salcombe is fashionable, sociable, the place to be seen and perfect for any mother on the hunt for a young Darcy for her daughters. In my mind, the ballgowns of Pride and Prejudice started to be replaced by bikinis, Pemberley became a sixty-two foot yacht, the famous Netherfield ball the equally famous Salcombe Estuary Swim, the militia the lifeguards - - the links seemed perfect and I couldn't wait to start. My opportunity came when I went down to Salcombe to accompany my eldest daughter, Sophie, who needed some peace and quiet to write her dissertations on Debussy's Pelleas et Melisande. This was a serious endeavor. We both sat at the little kitchen table of our terraced house in Island Street, Salcombe, set up our laptops and started to write. I was keen that my book should follow Jane Austen's original chapter for chapter in plot and characterisation as best I could. The combination of reading Pride and Prejudice, translating it into a modern seaside setting and trying to keep quiet was too much and I kept bursting out laughing - - which was not helpful to poor Sophie! Prior to writing Mr. Darcy Goes Overboard you were a playwright. How does one segue from writing plays to writing a novel inspired by Jane Austen? BR: Writing plays is all about dialogue. Every line must be true to the character of the speaker - - and reveal that speaker's personality to the audience. Jane Austen does this superbly in her novels. No word is ever wasted - - and everything anyone says is so revealing. So it wasn't too tricky to move from plays to a novel. Being a wife and mother, you must have a busy life! How does writing fit into that? BR: I write about things my children enjoy so they are keen to be involved! Last summer we made a film of Mr. Darcy Goes Overboard - - you can see a preview at http://www.beetleheart.co.uk/. The plays I have written have also been a rich source of discussion! Vivaldi's Angels, for instance, is set in 1703 in Venice and is about the time Vivaldi spent at the girl's orphanage Ospedale della Pieta, OTMA's Glory is about the last Romanov family and Starry Night, set in Paris, is about Vincent van Gogh, the artist community at the turn of the century and a group of English girls looking for love! Are you working on a project now? Any possibility that we will see another Austen inspired work? BR: I have two children's books I have nearly finished! But I do have another Austen inspired work on the back burner. Will keep you posted! I would take it that you are a fan of Jane Austen. What other authors would you consider yourself a fan of? BR: Anthony Buckeridge. He wrote the wonderful Jennigns and Darbyshire books. Never read them in a quiet place as you won't be able to stop laughing out loud! If Jane Austen could read Mr. Darcy Goes Overboard what do you think she would like most and like least about it? BR: I think she would enjoy the humour, the mix of language and situation. The manners of girls stuffing their faces with Chupa Chups would probably not go down too well! You can sit down to tea with one character from a book of your choice. Who would it be, why and what would you most like to ask him/her? BR: Charlotte Lucas has always fascinated and rather horrified me. How could she have married Mr. Collins? Lastly, what one word would you use to describe Mr. Darcy Goes Overboard? Thank you so much, Belinda, for taking the time to answer my questions. Best of luck to you with the wickedly funny Mr. Darcy Goes Overboard! For more information on Mr. Darcy Goes Overboard and author Belinda Roberts, please visit her Facebook page here and her Twitter page here. For my review of Mr. Darcy Goes Overboard, please click here. To purchase Mr. Darcy Goes Overboard, please visit here. So readers . . . what do you think? Do you prefer your Jane Austen straight or will you take her with a slight dose of humor? Click on the above link for my review to find out what I think!